SPRUNG from the mind of director Damien Chazelle, who dazzled audiences with his films GUY AND MADELINE ON A PARK BENCH (2009) and WHIPLASH (2014), comes a film that, although nods to predecessors, such as SINGIN’ IN THE RAIN (Stanley Donen 1952), THE UMBRELLAS OF CHERBOURG and CASABLANCA (Michael Curtiz 1942), steps forward in its own right and becomes a thing of modern beauty. Chazelle’s stylistic approach uses colour, and the use of the seasons as a narrative device, to bring a modern take on the musical genre to the mainstream screen. Most notably, Chazelle builds upon the stellar visuals seen in his previous film WHIPLASH during the opening shot of LA LA LAND, where DP Linus Sandgren makes the camera weave, leap and swerve around 100 dancers, and just as many cars, as they perform the opening number in just three shots. The camera becomes a character in itself with its impressive moves. Alongside a surprising yet ultimately charming appearance from John Legend, one must not forget the two lead characters who ultimately make this film magical, and it is no surprise they have nominations for Best Actor and Best Actress at this year’s Academy Awards. Emma Stone shines like never before; she is witty, vulnerable and smart. Not once do we question her authenticity in the role as Mia, the aspiring actress working at a coffee shop on the Warner Bros studio lot. Ryan Gosling is brilliant in his own way and one must recognise the contrast this role is compared to Noah in THE NOTEBOOK (2004). As a traditional Jazz pianist, Sebastian is a character with a moral dilemma that many can identify with; having to make the choice between taking a job that pays well, but in doing so, losing your integrity and values. Both have dreams that need opportunity, but instead what they find is each other. Stone and Gosling are not natural singers but somehow this adds a human quality to their performances and, matched with their limited but exquisite dancing, their pairing rivals that of Gene Kelly and Debbie Reynolds. 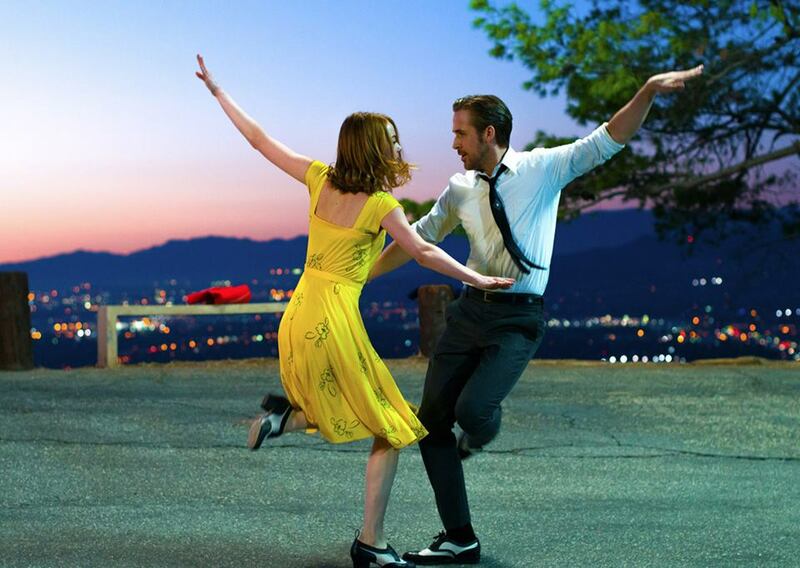 LA LA LAND is a strong Oscar favourite with a record 14 nominations. However it has fallen prey to the #OscarsSoWhite pitfalls of mainstream Hollywood by having Sebastian not played by an African American, which would be more historically accurate. Although this may be the case and is important to note, LA LA LAND still prevails as nostalgic for a genre that has lain dormant in the mainstream for numerous years, and gives a voice to many that have been ignored. At its core this film is a boy meets girl romance. However, is also a bittersweet reminder of happy endings that can no longer be and a testament to what it takes to follow your dreams and be an artist in a world that may not believe in art anymore.